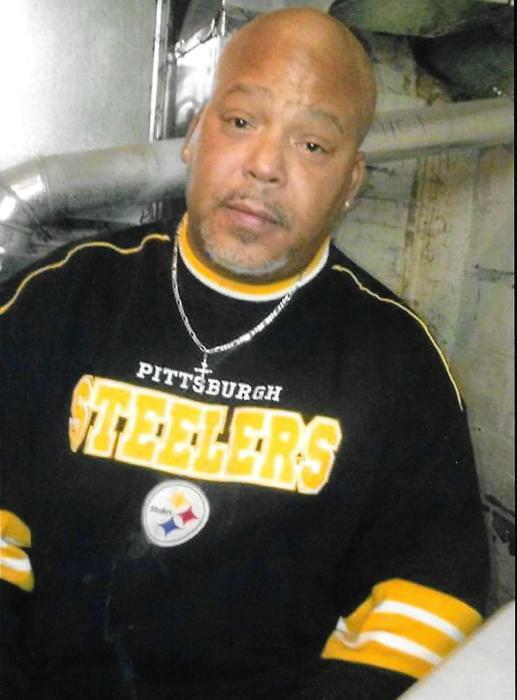 Delmar Maurice Bowie, 50. of Waynesboro, passed away July 28, 2018 at his home. He was born November 23, 1967 in Pennsylvania, the son of Barbara Bowie of Pittsburgh, Pennsylvania and the late Henry Anderson. In addition to his father he was preceded in death one brother, Antonia Anderson and one sister, Faith Anderson. Delmar was a High School graduate and was Business Manager with Harrisonburg Health and Rehabilitation, Harrisonburg, Virginia. He enjoyed spending time with his grandkids. In addition to his mother, he is survived by his girlfriend, Jackie Brown of Waynesboro; five children, Shameika Bowie of Waynesboro, VA, Jamar Bowie of Waynesboro, VA, Bria Bowie of Pittsburgh, PA, Daevon Woodard of Pittsburgh, PA and Kenyah West of Pittsburgh, PA; three grandchildren, Akeelah Bowie of Waynesboro, VA, I’mez Bowie of Waynesboro, VA and Sa’Khia Bowie of Waynesboro, VA; one half-brother, Keith of Ohio and a host of cousins, nieces and nephews and friends. At this time no formal services are planned. The family is being served by the Charlton and Groome Funeral Home, Fishersville.